A common energy-saving device I’ve never seen in the U.S. I tend to think of the U.S. as ahead of most of the rest of the world when it comes to energy efficiency. Maybe not in the Germany or Japan league, but at least above the median. After all, our utilities are spending billions of dollars per year encouraging energy efficiency and our policy makers talk about it a lot. But, I’ve stayed in hotels in France, Singapore and Kenya over the past six months and seen an energy-saving device that I’ve never seen in the US. Maybe you’ve seen them. It’s a simple fixture, pictured below, where you insert your key to activate the electricity in the room. To me, the energy savings to the hotel are ancillary and the main benefit is that there’s a single, default spot to leave my key. No more hunting through my purse and looking on every flat surface in a room as I rush out the door. The key is right there, on the wall next to the door, ready to go. I would pay extra for a room that had such a pocket even if it had nothing to do with electricity. So, why don’t we see these in U.S. hotels? It’s not because I’m staying at fancy new hotels in city centers in the other countries. 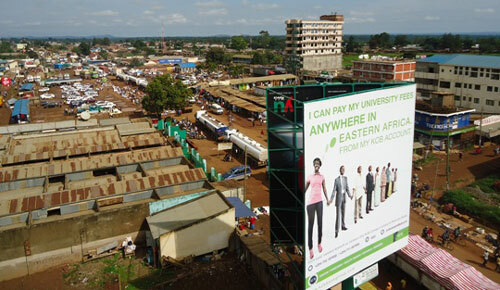 Both my recent hotels in Western Kenya had the devices – in Kisumu and overlooking the Ugandan border in the town of Busia (population 52,000), where I took the photograph above, and pictured below. But, maybe I stay at nicer hotels in the U.S. than when I travel abroad? The device has a penny-pinching feel to it, and there are drawbacks. For example, you cannot leave your computer charging while you’re out of the room. I don’t think that’s the story, though, since at least the hotel in Singapore was quite nice, and I’ve stayed in some real dives in the U.S. and still not seen a key pocket. We talk about an energy-efficiency gap, meaning that consumers and firms may be failing to invest in energy efficient technologies even if the payback in terms of lower future energy bills clearly outweighs the upfront investment. The typical explanations for the energy efficiency gap are that there is a market failure at play, like a split-incentive problem or lack of information. Certainly, hotel guests do not think about the effects of their actions on the hotel owner’s energy bill, so there are elements of the split-incentive problem here. But, this device is explicitly designed to address that problem and force the guests to save energy for the owner. I am also hard-pressed to see U.S. hotels’ failure to adopt the key pockets as an example of the energy efficiency gap, since the devices have been adopted in other countries. I can’t see why market failures exist in the US that don’t in Singapore, France or Kenya. One lesson is that I am not a typical U.S. hotel customer. I like having a place to keep my key, and I don’t like walking into what feels like a 65-degree hotel room, even if it’s 95 degrees outside. But, other U.S. consumers apparently like a lot of AC. This example highlights that saving energy can come at an economic cost. Sure, there may be energy-saving technologies – simple ones installed in remote Kenyan hotels – but if people like walking into 65-degree hotel rooms, businesses will be unwilling to adopt them. And, if a utility program or government standard pushed the hotels to adopt them, all those hotel guests with polar bear tastes would be less satisfied customers. I am curious. Have you seen these devices in the U.S.? If so, in which hotels? Where? If not, why is the US so different from other parts of the world? 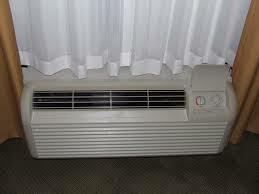 Do you agree that US consumers’ love of AC is part if the explanation? I, for one, would love to get to the bottom of this! That was a really good article to read. Thanks Catherine. There are much more advanced systems in rfid technology in order to bring the best possible scenario to avoid power wastage. For a fact I know that this company is having connection with multiple solution makers in the automation industry. One such solution can actually track the movement of a person, who has rfid attached to them and selectively power on and off the electrical appliances. It is similar to google home’s IoT but using RFID technology. Also I saw another project where a group of girls showing the optimized version of rfid controlled appliance as a college project. Though they were using active rfid tag. A simple application of radio-frequency identification. I am in the industry that creates similar products. These are widely used in India and some other Arab countries. They are very useful for energy saving. Hopefully states will have the mind to deploy similar technology that can help with power conservation. This was a great article, however the main reason this type of system is not implemented is because it compromises guest comfort. In a competitive market as the United States one bad stay will send customers up the street to the next hotel. So it is very important to consider that comfort needs to be maintained. A really neat technology is offered by Verdant Technologies. They have thermostats with occupancy sensors which let the temperature drift ( to a certain point) to save energy in guestrooms. You can see more about them here. That’s was great idea, never thought things like this exist. Is good for environment, i wish this thing was implemented in my country then we can save the environment and never happen the electricity cut during the day. Having lived in Asia for over 30 years, and traveling extensively, I see these things everywhere. They range from a simple switch that even a piece of cardboard can defeat to more sophisticated units that can detect if the proper IC Chip key or RFID card is inserted. That said, they are a great addition, in my opinion. I have found that some upper-class hotels even provide a single user with two keys so he can control the temperature and charge a computer even when not there. As for defeating the temperature changes, there are also devices for that, which operate independently, only giving the user limited control with pre-established minimums and even more sophisticated add-ons that extract the maximum needed cooling power from the AC accomplishing savings of up to 40% by not using the compressor so often. Things are too slow to change in the states.